Stand-up paddleboards, otherwise known as SUP boards, have exploded in popularity around the world. It’s not unusual to see a SUP at your local river, lake, or beachside area. Sometimes, you can find more people paddleboarding than being on actual boats. The water is for everyone. There are different ways to utilize your board. Some individuals enjoy rafting to a sandbar, boat out to a secluded lake area, or hit up some truly remote waterways. A great way is to anchor your boat and then paddle to your desired location. For example, some truly adventurous people will take their stand up paddle board to fish the flats of the Bahamas in only inches of water depth. All of this sounds like great fun, but how do you get your board to where you want it? It can definitely be a struggle. The stowing, securing, and transporting it can come with its own set of challenges. Some boards can be in excess of 12-15 feet in length. The days of awkwardly bringing your paddlecraft on your boat are long behind us. The board game has advanced to the point where you can easily store a deploy your board from just about any kind of boat. In the following, we’ll tackle six separate ways to do so. But, before we get started, let’s take a quick look at the importance of safety. As the popularity of paddleboarding increases, the importance of utilizing proper safety technique has never been less important. 2016 saw a drastic increase in recreational boating fatalities. This was the highest recorded number in five years. Most of these boating accidents involved paddleboards and other types of paddlecraft. Those that enjoy boarding should be sure to educate themselves properly to minimize the risk of a boating accident. The Coast Guard is now looking at paddlecraft like kayaks and SUPs to ensure they’re safe for use. This also includes education relating to its Vessel Safety Check program. 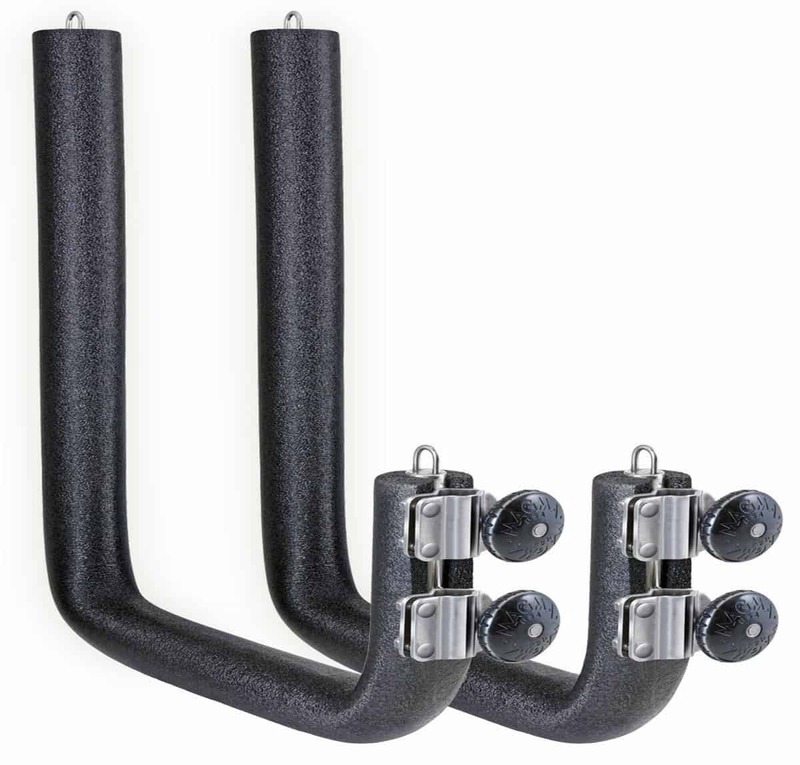 Pontoon owners can now get boat racks designed specifically for pontoons. Many boaters enjoy being able to take their SUP out with them. It’s just easy to anchor your boat somewhere and enjoy a piece of harmony to yourself. For example, the Toon Racker is outfitted to attach itself to the square railings on the pontoon boat. Even though pontoons offer plenty of space on their own, why not keep that extra space free for other activities? 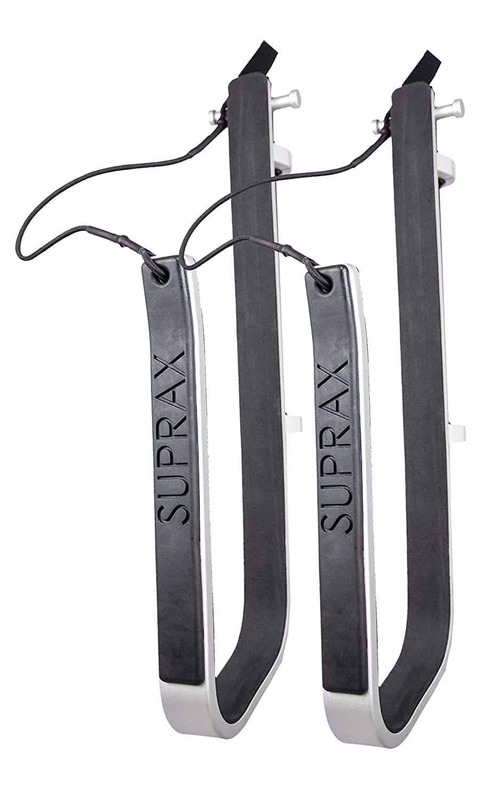 Another great product to check out is the SurfStow Suprax. The Suprax comes with a pair of cushioned aluminum racks that are equipped with specifically designed clamps to fit on your pontoon’s square railing. 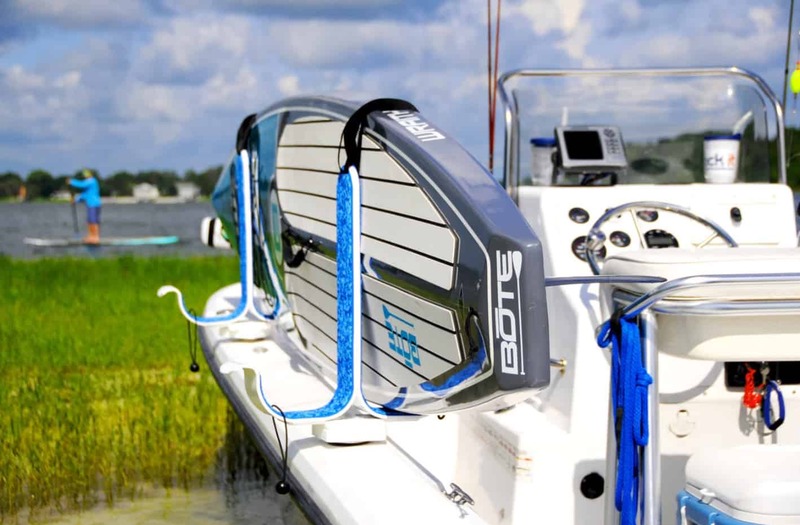 Manta Racks, a company based in Florida, has designed it to fit in your gunwale rod holder. It just makes sense. 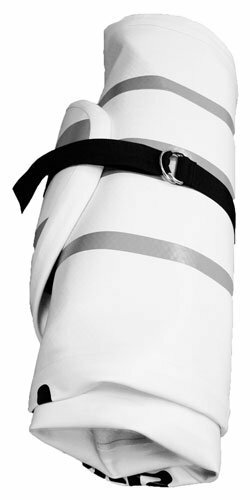 This allows you to securely stow your board without having to modify your boat. There’s no need to install a special rack or make drillings. Manta manufactures racks that come with a 360-degree locking base that allows you to angle the arms to your convenience. It is also made with stainless steel so you can be assured of its durability. The S1 Rack is capable of securing one board, while the S2 can be equipped with two. Another racking system, the Outracker, will also fit into your gunwale rod holder. However, it comes with a potentially significant restriction. They can only fit rod holders with 30-degree angles. The Outracker is also capable of storing two boards. Some boats now are already being designed with space just for your paddle board. These on-deck “garages” let you keep your board stored without the hassle of installing anything. For example, the SLX 400 by Sea Ray, comes equipped with a locker made for SUP boards. It is capable of storing two. Installing a hardtop on your boat not only provides shelter from the blistering sun, but more space to store items such as SUPs. There is an endless amount of hardtop accessories on the boating market that allows you to attach paddlecraft with ease. Many boats are also already being installed with hardtops. The 400 Cuddy is typically equipped with a customized hardtop rack for boards. Due to the paddle boards large nature, these hardtops are becoming more in-demand. A typical surfboard doesn’t reach the same length of most SUPs. If your boat has a bow rail that runs from your aft to midship, there are paddleboard racks for boats available to secure board. Magma Products has the Removable stand up paddleboard rack which comes with two arms equipped with clamps that are capable of attaching to either diagonal or vertical stanchions. It can fit stanchions from 7/8 to 1 ½ inch in diameter. The Removable rack is made of stainless steel and can store two boards. It’s also quite easy to rotate and move around due to its quick-release knob system. A good way to avoid getting a rack altogether is to purchase an inflatable SUP board. These can be more expensive, but the higher price can definitely be worth it. Your boat may not even be capable of carrying a large board over long distances or even having a rack installed on it. Many inflatables can be manually inflated with ease. They’re great for individuals with smaller vessels or even deploying their board from larger paddlecraft. 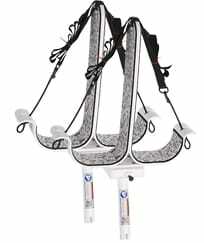 Paddle Board Rack For Boat Review	Overall rating:	5	out of 5 based on 5	reviews.